·Optimal for free form brainstorming: Develop and structure your ideas with smooth, hand drawn memos. Compatible with ApplePencil. ·Create mind maps: Branches can be freely moved, allowing you to create more flexible mind maps. ·Limitless canvas sizes: Canvases can be stretched into limitless sizes, so you can naturally expand upon your ideas. ·Diagram creation: Both hand writing and text are supported. ·Use clippings from online browsing: Cut and paste from web pages onto canvases. Use links to let you freely move to web pages. ·Reuse: Ideas are combinations of existing elements. Try taking out a card you've already made from the card box and applying it to a project you're working on now. ·Structure freely: Links from cards to canvases can be created, so you can freely create structures between canvases. ·Idea creation methods: Includes many different thinking techniques, such as SCAMPER and the Matrix Method. ·Frameworks: Includes carefully selected high end templates for business professionals, covering everything from standard models like 3C analysis and SWOT analysis, to innovation theories like Blue Ocean Strategy and Business Model Canvas. ·Synchronize data (Pro version): Synchronize data with your iOS device, and you can record your ideas wherever you go. ·Use a shared whiteboard for remote work (Pro version): If you invite other users, you can make it easier to communicate and share ideas. Subscription that costs between $1 and $2. Price may vary depending on commitment and so on. 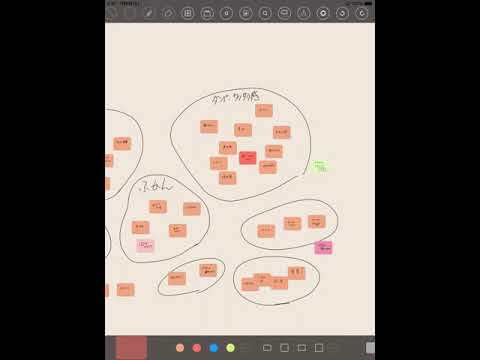 ThinkSpace : Mind Map & Note was added by razer006 in Mar 2019 and the latest update was made in Mar 2019. The list of alternatives was updated Apr 2019 There is a history of all activites on ThinkSpace : Mind Map & Note in our Activity Log. It's possible to update the information on ThinkSpace : Mind Map & Note or report it as discontinued, duplicated or spam. Alternatives to ThinkSpace : Mind Map & Note for Windows, Mac, Web, iPad, iPhone and more. Filter by license to discover only free or Open Source alternatives. This list contains a total of 25+ apps similar to ThinkSpace : Mind Map & Note. No reviews yet for ThinkSpace : Mind Map &amp; Note, want to be first? Maybe you want to be the first to submit a comment about ThinkSpace : Mind Map & Note? Just click the button up to your right!